This pattern is called Christmas Tags designed by Fiona Crouch. They can be found in The Ultimate Christmas Cross Stitch Collection 2014; I honestly don’t know if it is still available or not. My mother bought two copies because they were on sale at either Micheal’s or Wal-mart. Not sure but she does go to both places. For her, it was an impulse buy and an early b-day present for me. It has all sorts of stitch goodies, gifts, and pretties of all sorts, shapes, and sizes. Now, if you’ve been following this blog for at least a year. You know I do a lot of charity stitching. But for those of you who don’t know, I am a member of the B.P.O.E., Benevolent Protective Order of Elks. We do a bunch of stuff all over the United States. In Idaho and Washington, the Elks created the Betty Heiss organization that raises money specifically for cancer research. The ladies that run the organization hold a silent suction in June and November at the Idaho Elks Conventions to help raise money. I always try to donate something that is handmade. This year due to health, i really slacked off. Until, I remembered this particular magazine which had some really quick stitch patterns. 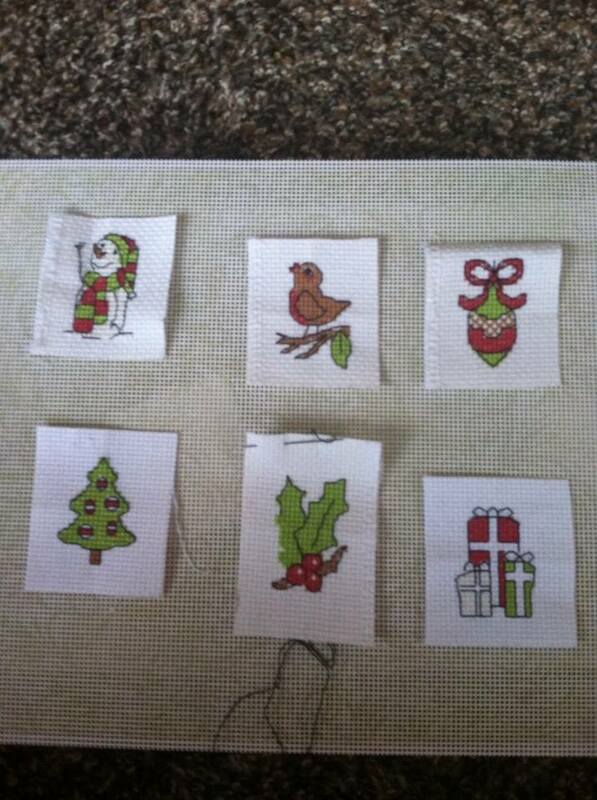 This pattern is set of 8 gift tags that took about 2 days to stitch. The stitching is finished, I just need blank gift tags, double-sided tape, and baker’s twine to finish them. They will be put on the table Nov. 6th and sold to the highest bidder. They probably won’t get too high of a bid because they are simple small things but when it comes to cancer research, every dollar counts. Happy Stitching!! P.S. Are there any stitch or fabric stores that are a must visit while in Idaho Falls?